In your daily browsing activities, you must have surely come across situations that require you to generate a strong password, maybe for online banking or just other forms of account registration. The challenge is, how can we use the same or similar passwords in our other accounts, and not compromise the security level of all our affairs. A password generator seems to be the ultimate choice in overcoming such problems. If you do a simple online search in the popular search engine you will realize that there are many solutions that can help you generate passwords, ranging from browser extensions, dashboard widgets, or even desktop apps. The major concern is not generating a password, but rather the authenticity and strength of the generated password. 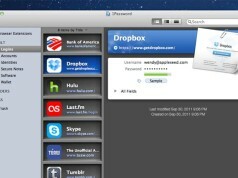 myPassword is a small yet effective OS X application designed to serve you beyond mere password generation. It is very different from other password generation applications. It is available today in lightweight design and it does not slow down your machine. It contains the characters you want, as well as your desired length. 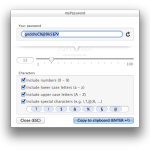 A simple click is all it takes to send a customized secure password to your Mac’s clipboard for use in any type of registration. Apart from being lightweight, the application is optimized for high performance meaning that you are not limited on the number of passwords to generate. 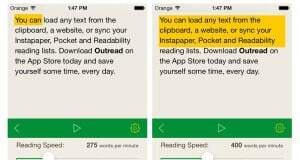 It can be installed directly from Apple’s App Store and it is free for a limited period. 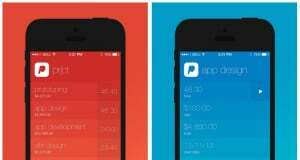 Ease-of-use is the trend in the app design industry lately, and all developers want to make their apps easy to use as possible. myPassword isn’t an exception. Upon launching myPassword, a menu bar entry is automatically added and this provides quick access to all the app operations. 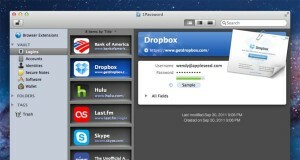 As much as the app utilizes menu bar tools, it gives users the opportunity to generate many custom passwords. On the first click, the user is welcomed by the “Generate password and show” option, which does not only help generate passwords, but also copy the to clip board. Other options are provided in different windows whereby users are able to generate more passwords under a variety of customizable options. 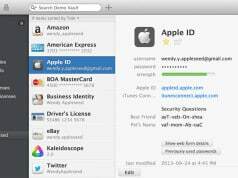 Generally, this app presents an easy to use, yet modern design which is always experienced in the Mac field. MyPassword compromises many password generation options, a factor that makes it stand out of other standard generators. 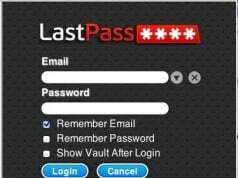 The sleek design ensures that you are able to generate and copy custom passwords in just two clicks. Even after generating a password, it is very possible to edit it within the app, making it suit your requirements. Apart from simple password generation, myPassword has the ability to create multiple passwords at once. Which can be very helpful when you are asked to create several passwords simultaneously. A user is able to generate up to 99.999 passwords at one time, and they are displayed on a separate window once the generation has been completed. Unfortunately it falls short in providing global hot-keys that would definitely speed up generation and copying of passwords. 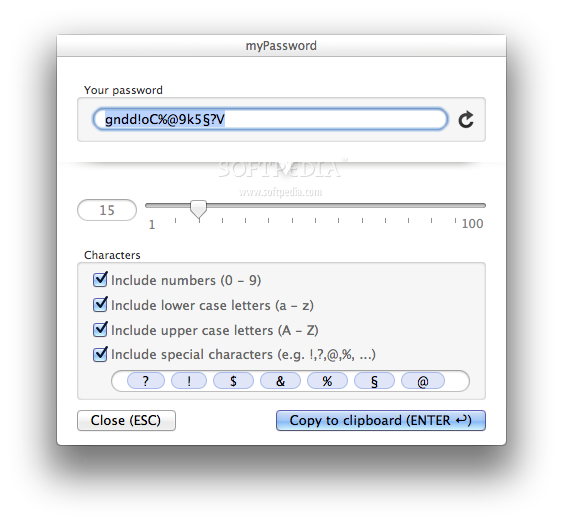 MyPassword is a very efficient password generator that can be used on a long-term basis. Its performance, design, and flexibility cannot be compared to that of other password generators. Although it doesn’t support global keys, myPassword is still a fast way of generating passwords straight from your menu bar. And with all considerations observed, it is clear that myPassword is able to effectively generate various types and lengths of passwords; ranging from simple to complex passwords. 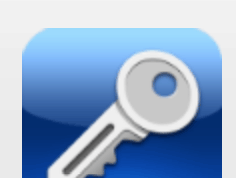 Therefore, if you need a reliable password generator, try myPassword today.